belle maison: TGIF - Let's have a drink! TGIF - Let's have a drink! It must be Friday because all I can think about is popping open a chilled bottle of wine and relaxing! What a crazy week it's been! 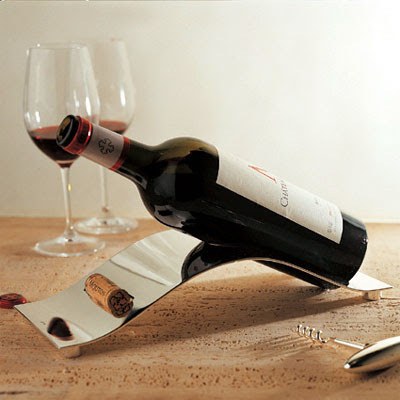 Anyway, here are a few cool finds to serve and chill your favorite bottle of vino. Have a fantastic weekend! 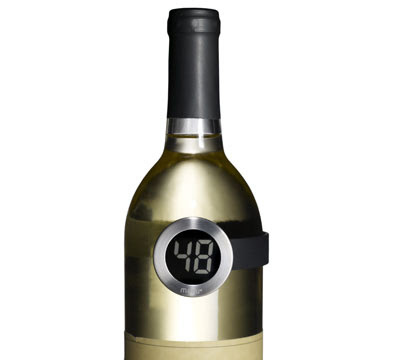 Keep tabs on the temperature of your bottle of wine with this minimalist digital Wine Thermometer, available through MoMA. 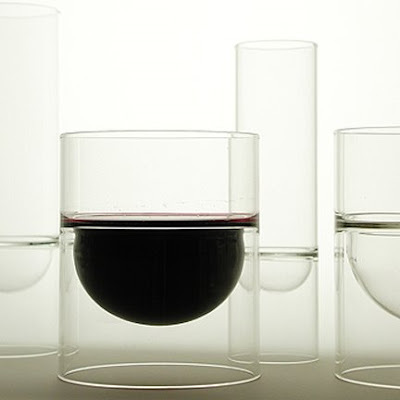 Who wouldn't want to drink out of one of these funky wine glasses?!! 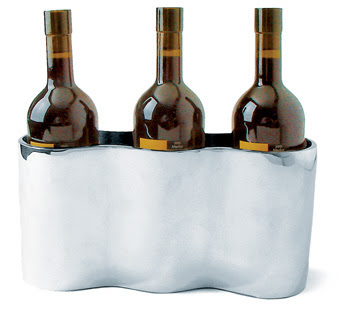 They're designed to keep condensation away from the table so you don't have to use a coaster...and you don't have to serve just wine, you can fill these up with the hot or cold beverage of your choice! Float Wine collection from Napa Home. Party Time Wine Holder from Lunares Home. Love it! I *adore* those wine glasses. Very sleek and I'd be so much less likely to break them. I heard about some of your week! Congrats on surviving it! Definitely a good idea to enjoy some wine this weekend. Cheers!